The Swedish Exhibition & Congress Centre in Gothenburg is the Scandinavian centre for exhibitions, conferences and meetings. The extensive premises and all the experienced personnel ensure each event runs like clockwork providing an enjoyable and memorable experience to anyone visiting. With 1200 hotel rooms, numerous conference and meetings facilities as well as large halls and arenas all located under the same roof The Swedish Exhibition & Congress Centre can accommodate and provide a top class experience. Sustainable development is also a very important consideration The Swedish Exhibition & Congress Centre take seriously. The belief is that a good meeting place should take both people and the environment into consideration. Located in Central Gothenburg The Swedish Exhibition Centre is easy to get to. To plan travel arrangments in detail please visit vasttrafik.se or download Västtrafiks app “Reseplaneraren”. The Swedish Exhibition & Congress Center Group, SECC, in Gothenburg, has the vision of becoming Europe’s most attractive venue by providing the best overall experience. SECC also owns Gothia Towers, one of Europe’s ten largest hotels. The venue also has an art gallery, a pop-up theatre, a three-storey spa & relax and eight restaurants. Every year, around 1.8 million people from all over the world choose to come to us to meet, eat and stay and develop business, products or ideas. To offer cutting-edge expertise in exhibitions and meetings, and have a committed, innovative and bold approach. The aim is to be our customers’ prime business-generating partner. 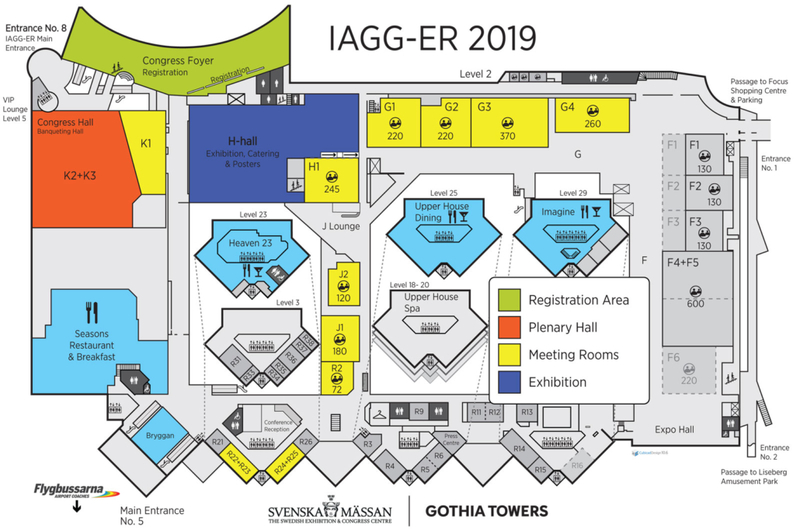 To learn more about the Swedish Exhibition & Congress Centre please visit the official website.